Like a rocket from the crypt, Ben & Josh roared back on the on-demand audio airwaves for episode 60 of the flagship Near Mint Comic Show, recorded live to digital tape on January 25, 2014. Comics related movie news and rumors! There’s been a metric crapload of Marvel-related movie announcements since we last recorded, and some additional setbacks from DC. We discuss Ant-Man, Guardians of the Galaxy, Batman vs. Superman, Ben finally seeing Man of Steel, not seeing Wolverine, and what’s new on the small screen. Will Ben see The Lego Movie?!? Thanks to Ben, Josh has gone digital for a few issues. Does he like it? Does he hate it? Will he set the pulp and paper industry back with his decision? The Dark Knight, Marvel Knights: Spider-Man, Jupiter’s Legacy, Secret Service, Arms of the Octopus and more are discussed. We talk the series from 1:11:49 – 1:17:02. Spoiler warning, y’all! Why did Marvel decided to spoil the world about the return of Peter Parker? The guys also discuss comics constipation (seriously! 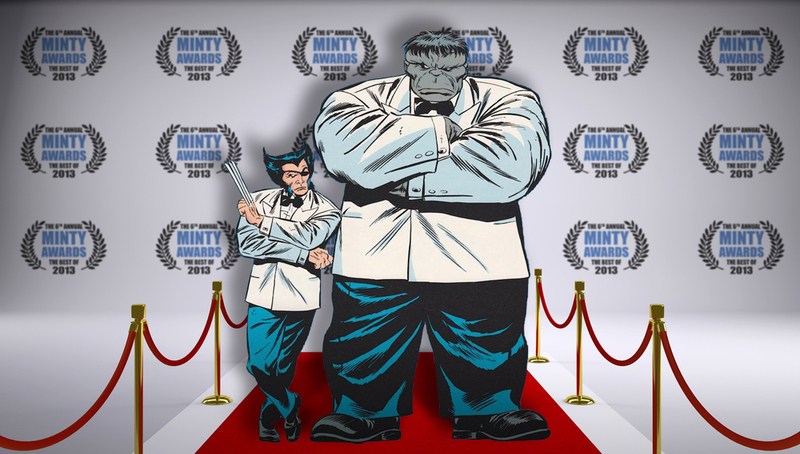 ), give a postmortem to Venom and do a preview of the next edition of The Minty Awards! – What part of the Marvel universe will the Netflix series be in? The 2013 Minty Awards: CAST YOUR VOTE! 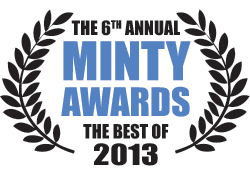 The 6th Annual Minty Awards are almost here, in which we recap the greatest comics, creators and stuff of 2013. And once again, we’re looking for YOUR VOTE. Ben and Josh will each name winners each category – but we want to hear from you listeners as well! Give us your winners in some or all of the categories and have your fandom heard. PLUS, we’ll select one response at random and that person will win a comics prize pack containing comics, artwork, things that don’t fit on our desks anymore… and more. So not only will you contribute to the show and give props to your favorite comics, but you, yourself could be a winner. What are you waiting for – stand up and be counted! Click Here to see all the categories and pick YOUR winners. You can also cast your vote (and be a part of the episode) by leaving us a voicemail at 815-31-SNIKT (76458). Make sure we know who you are so you can be eligible for prizes and we’ll play your message during the show.